GPR-SLICE v7.0 (2016) is a complete imaging and signal processing software compatible with all the major manufacturers of radar and is compatible with single channel and multi-channel equipment. 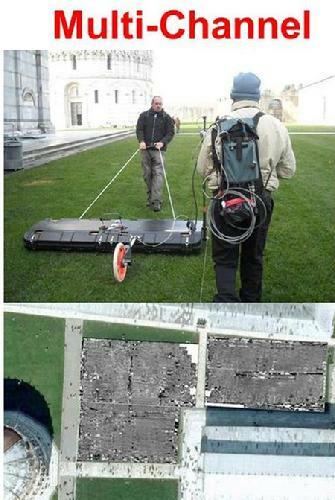 GPR-SLICE v7.0 licenses include OpenGL Volume 3D module built-in addon which allows the user of GPR to do real time flythroughs, real time fence diagrams, and real time isosurface rendering and transparencies of 3D data volumes. Detected horizon surfaces and radargrams can also be included in this OpenGL visualization tool. GPR-SLICE v7.0 Bridgedeck module is specifically designed to assist in the evaluation of bridgedecks. 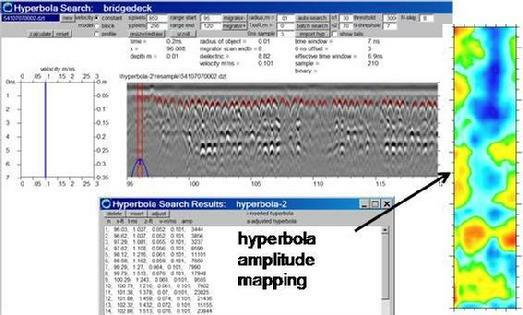 The Bridgedeck module provides for operations to automatically detect subsurface hyperbolas from rebar or other support structures and to map the peak amplitude responses. The module is designed to allow the user to automatically detect multiple rebar layers and to grid the peak responses in the GPR-SLICE Grid menu using a variety of algorithms. GPR-SLICE v7.0 Bridgedeck module also includes Roads + CALTRANS Standard module which is a specialized module for conducting subsurface mapping of roads from regular or surveys made with GPS. 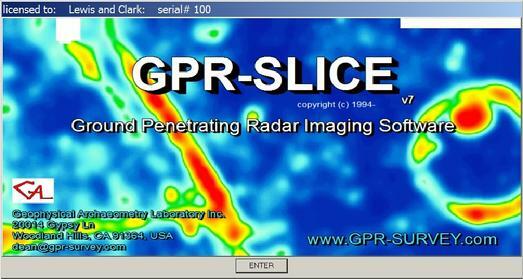 GPR-SLICE has an auto detection horizon picker for up to 8 layers. Specialized filters can be used to assist in making the auto-horizon detection work with a variety of datasets with different noise constraints. The user can easily interface and assist the auto-detected results for final editing. The software module includes a special option to report the final analysis in the California Department of Transportation’s CALTRANS STANDARD format for direct import to DOT road management databases. GPR-SLICE v7.0 Multi-Channel module incorporates all the major array systems from IDS Stream, 3d-Radar, Mala Mira, and GSSI Terravision for seamless processing. The Multi-Channel module is enhanced with BlueBox Batch processing from raw data to final processed 3D volumes available with a single mouse click. GPS and total station navigation formats are automatically read from all the different manufacturers.